Bring butterflies to your home and garden with the plants that attract them. Did you know the Monarch Butterfly depends on Milkweed for its survival? We stock it year-round (shown at left). Native to the mountains of Syria, Jerusalem Sage attracts butterflies (Monarch Butterfly, above), bees, and birds. It is an easy-to-grow and low-maintenance plant that is drought-tolerant and drought-resistant. The recent migration of the Painted Lady Butterfly literally exploded across the Southland in February and March, when thousands of these butterflies frantically raced north to their Oregon breeding grounds. It was a scene never before seen in the Los Angeles area. The Painted Lady is a cousin to the Monarch Butterfly. Above, one appears just beyond the Manzanita flower in the background. Many a Painted Lady ventured through the Garden Center with a small number of them staying a bit longer underneath the shade cloth that covers our Shady Plants section. Look on our Facebook page to see our video of them during their visit. Scabiosa, aka pincushion flower, is one of the loveliest choices for a butterfly garden. Its charming blossoms stand tall to welcome passing butterflies. 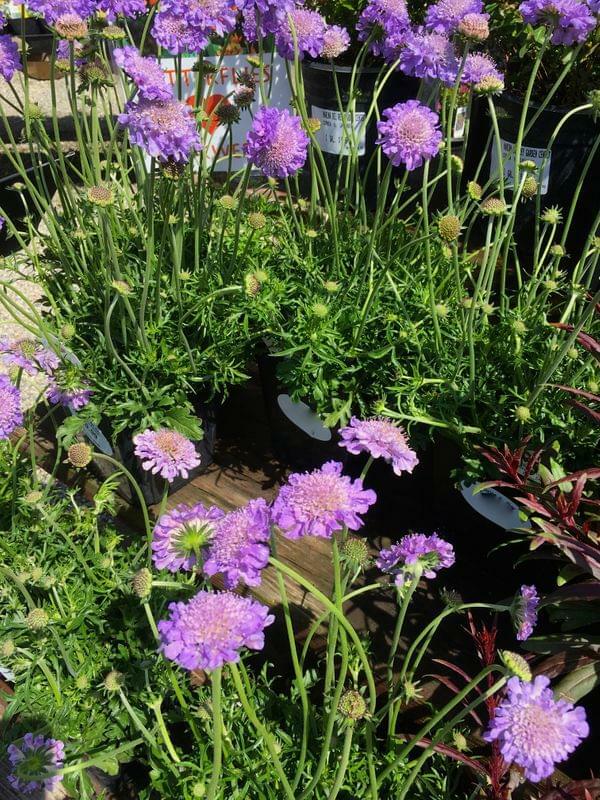 Scabiosa grows best in well-drained soil and full sun. It is drought tolerant and blooms from April through summer. Use pincushion flower scattered throughout your garden or add it to large pots and planters and watch the butterflies arrive. Prized for their smooth orange or red bark and stiff, twisting branches, Manzanita has a rich history in California. California’s Native Americans used its decorative berries and leaves for beverages like tea, extracts for headaches, and lotion for relief from poison oak. 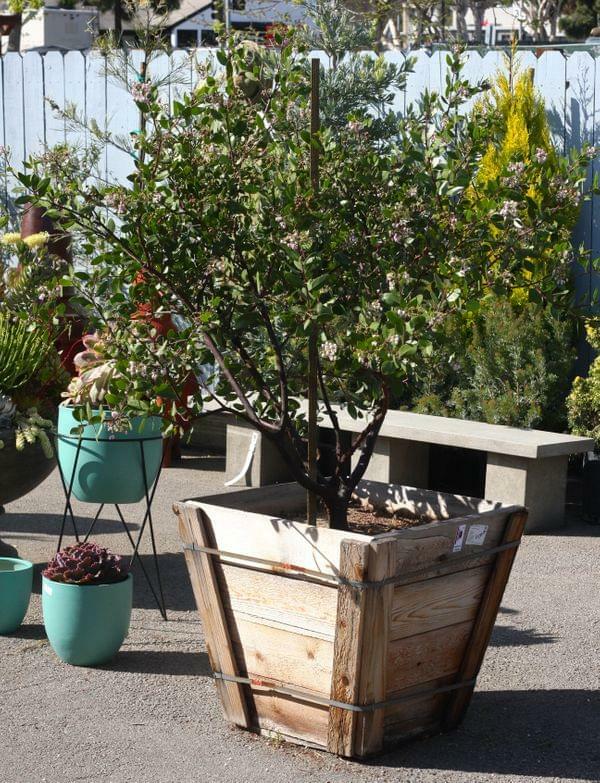 In addition, Manzanitas are good nectar plants for adult butterflies, as well as hummingbirds. Spell it either way (Buddleia or Buddleja), Butterfly Bush casts a stunning display of flowers in Spring and Summer. This shrub features purple, magenta, or white flowers that butterflies love.